24 Hour Locksmith Ayr is your one-stop shop for all of your home and or any residential door. See below all of our locksmith services provided to all residential doors. If you live here in Ayr and looking for the best and most trusted locksmith, you are in the right place. In contrast, if you are in the area, we help drive out too. 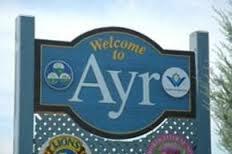 Above all, residents in the Ayr, ON area that are looking to improve home security or get emergency locksmithing services can count on 24 Hour Locksmith Ayr. We provide a full range of locksmith and home security services to ensure that your home is protected at all times. Are you locked out of your home?! We carry the latest tools to enable us to unlock any residential lock. Our certified locksmith will help you to get in and if necessary we can also change or rekey your locks to assure maximum-security in case of a lost key. Because our 24/7 services can get a locksmith to your home in no time, no matter the situation. 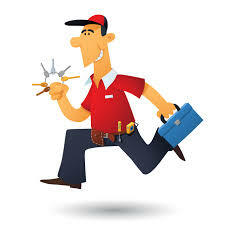 Hence, We have locksmiths ready to dispatch around the clock specifically to handle residential locksmith services. We know and understand you need service and we are here for you. You do not need to wait the next business day while we come. Our locksmiths are ready night and day for your convenience. We’ll make sure that we take care of your needs quickly and thus give you the best service every time. Similarly, our residential locksmith team can help you rekey locks, change locks completely, and probably improve your home security in other ways by upgrading and improving the locks on the doors in your home. We can provide easily install high-security locking systems that will give you peace of mind and ensure that your home is safe. We can rekey locks and cut new keys for new homeowners or anyone who wants to increase the security of their home. Furthermore, call 24 Hour Locksmith Ayr to find out what kind of home improvements and security upgrades we can provide through simple rekeying or lock change outs, no matter what your current locks are like.